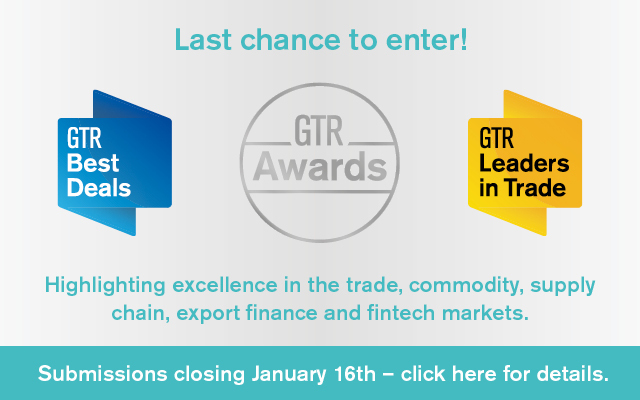 Every year GTR receives hundreds of submissions for its Best Deals awards, and every year we try to reward the trade, export, commodity and project finance transactions that represent the best of this industry: innovation, social purpose, clever risk mitigation and, most importantly, continued support to trade. This year is no exception: from helping Ghana move up the cocoa production ladder to improving power supply and telecommunications across Africa and overcoming cumbersome legislation in Mongolia and corruption scandals in Brazil, the institutions involved in the winning 2015 Best Deals showed great resolve and served the ultimate purpose of boosting world development.  This year we also reward another kind of deal – Deutsche Bank’s trade finance securitisation. The largest in the world so far, it provides a potential solution to help banks alleviate the negative impact of ever-more stringent regulation and we expect it to pave the way for many more similar deals in the future. Marking the first time for livestock financing to enter the ranks of GTR Best Deals, this borrowing base facility, successfully concluded by the Nedbank global commodity finance (GCF) team, shows an innovative approach to cattle procurement. Beefmaster is a South African red meat producer, owned by the Van Reenen family since 1986. Its operations comprise maize farming, an in-house feed mill, cattle and sheep feedlots, an abattoir, meat processing and packing plants and retail outlets. Nedbank’s facility forms part of the second phase of Beefmaster’s business development plan, which includes increasing the abattoir throughput to satisfy increased demand. Also included in the second phase is the improvement of operational efficiencies at the feed mill and abattoir, the commissioning of a packing facility in Johannesburg, the further development of retail and export activities (especially into Africa) and industrial distribution channels and consolidation of existing credit facilities. Nedbank’s R100mn facility will fund the purchase of cattle at the feedlot, with the cattle in various stages of maturity serving as collateral under a general notarial bond. 2015 was not a good year for Brazil’s oil and gas industry. The country’s state-owned operator, Petrobras, was under the spotlight for all the wrong reasons – the main one being large-scale corruption. Yet the floating production, storage and offloading unit (FPSO) financed in this deal will be deployed in Brazil’s Lula oilfield (formerly Tupi), which is operated under a joint venture between Petrobras (65%), BG Group (25%) and Galp-Energia (10%). According to SMBC, the structure of the deal, whereby banks took risk on FPSO operator SBM Offshore instead of the oilfield itself, allowed them to continue to finance the future development of the Brazilian offshore oil industry without taking direct exposure on scandal-stricken Petrobras. Given that the Lula oilfield was discovered in 2006, with recoverable reserves expected to last 200 years at the current production rate, maintaining financial participation in the sector while avoiding involvement with Petrobras in the current turmoil seems to be exactly what banks need. The deal also marks a number of firsts: it is the first FPSO financing ever backed by comprehensive insurance cover from four ECAs, with the Atradius-covered tranche of US$800mn including reinsurance from Sace for US$167mn and from UK Export Finance for US$53mn. It is also the largest project financing in SBM’s history and the largest project finance facility for Atradius to date. According to ING, the deal took over a year and a half to complete, due to the challenge of having to co-ordinate four sponsors and four ECAs over three continents. “This large, long-term facility contributes strategically to the development of a vital sector,” adds SMBC in its deal submission. HSBC has been one of the foremost banks in the renminbi (Rmb) internationalisation story. The bank has used its Hong Kong roots to implement a range of cross-border Rmb “firsts” over the past few years, so it was no surprise to see it complete this landmark deal for both the aviation sector and the Chinese currency. This was the first ever Rmb transaction to be guaranteed by an export credit agency (ECA), with UK Export Finance (UKEF) stepping up to the plate. The significance of the deal was emphasised by the fact that it was discussed at the highest levels of both the UK and Chinese governments in June 2014, one year before financial closure was reached. Philip Lewis, head of export finance for transportation at HSBC, tells GTR that the “relatively tight timeline between the airline’s final decision to proceed with financing in Rmb and the cheduled delivery date of the aircraft” marked one of the key challenges in putting the deal together. Back in April last year, the Touton Group, one of the world’s largest processing companies, purchased a cocoa bean processing factory in Ghana’s Tema free zone enclave. The move was lauded in the local press: Touton had for many years been buying cocoa from Ghana, and had been considering the possibility of adding value to the beans it purchases. The opportunity presented itself with the takeover of an existing grinding factory in Tema, known as Commodities Processing Industries, belonging to Niche Cocoa Industry, thereby creating Cocoa Touton Processing Company (CTPC). Touton is set to be expanding the factory from its current 25,000 metric tonnes a year capacity to about 37,000 metric tonnes in the next five years. The factory engages in the manufacture of cocoa-derived food ingredients, and produces conventional and specialised cocoa liquor (one of the few companies in Ghana to do so), natural cocoa cake and natural cocoa butter. In November last year, Natixis, one of Touton’s core banks, arranged an oversubscribed US$80mn facility in favour of CTPC to fully cover the working capital needs of the factory until goods are loaded free on board (FOB) in Ghana. The financing includes the prepayment of cocoa to the Ghana Cocoa Board (Cocobod), the storage of the cocoa, the processing of the cocoa beans into cocoa liquor, and hedging requirements (available in euro, pounds or dollars) to cover the cocoa price risk of the client. “This transaction should ensure the development of processing of cocoa beans in Ghana by international companies such as Touton,” says a Natixis spokesperson. The government of Egypt is pushing to increase power generation capacity by about 17%. The Egyptian Electricity Holding Company (EEHC), which operates under the ministry of electricity and renewable energy, has had a busy year commissioning projects that can bridge the existing supply-demand electricity gap and improve the country’s energy efficiency. The most significant of these, adding as much as 15% to the current power generation capacity, is a 4400MW combined cycle power plant in Beni Suef. Siemens and its local consortium partner El-Sewedi won the contracts, worth €8bn, in what the German company calls its single biggest order to date. With project costs estimated at €2bn, Deutsche Bank, HSBC and KfW Ipex were appointed as co-ordinating initial mandated lead arrangers. It took them just over six months from mandate to financial close to arrange a €1.2bn ECA-backed facility with Euler Hermes. This involved another eight international banks as mandated lead arrangers, five as lead arrangers and one as arranger. “A transaction of this magnitude would not have been achieved without the German government and Euler Hermes,” a Deutsche Bank spokesperson tells GTR. The project required an extensive due diligence process, which involved an independent external environmental consultant. EEHC also mandated its own local and international environmental advisors and Siemens provided support. HSBC co-ordinated a second ECA-backed facility involving Italy’s Sace, UniCredit and Intesa Sanpaolo, worth €179mn and supporting a number of Italian small and medium enterprises. According to Manan Futnani, HSBC’s head of export finance, Mena, Sace’s support was important for two reasons: funding diversification and tenor. “There is a significant amount of capex taking place in Egypt at the moment and the government needs to diversify its sources of funding, particularly where foreign currency is required,” he tells GTR. “The Sace facility provides a longer tenor at a lower financing cost when compared to an uncovered commercial facility,” he adds. The shipping market can act as a useful finger on the pulse of global trade. Over the past year or two, the general slowdown in world trade has filtered into the shipping market, with cargoes down and fewer purchases of new fleet. It makes this deal, which will finance the purchase of 15 very large crude carriers (VLCCs) and result in the delivery of 21 tankers in total, all the more remarkable. It also marks the largest ECA financing in the VLCC space, which reflects the importance of export credit to the market at this tough time. For Gener8 it was a first foray into the ECA market, but one which was followed up with a deal involving Citi and China Exim in December 2015. 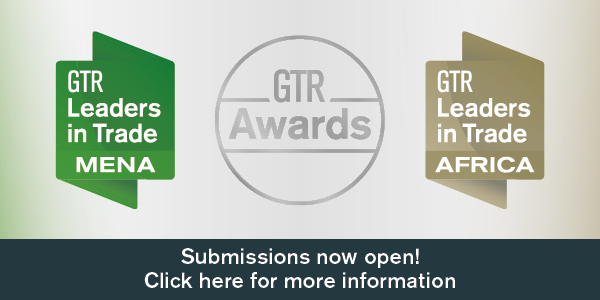 This award marks the continued strong performance of Citi in the shipping space, but also that of the Korean ECAs involved: all three have been awarded in GTR’s Best Deals in the past, demonstrating great consistency over a turbulent time for the industry. It’s no secret that small and medium enterprises (SMEs) struggle in accessing the necessary funding support to export. It’s also no secret that the UK’s manufacturing exports have long been struggling, yet this deal shows that an alternative to the exporting gloom can be found. Ham Baker designs and manufactures precision-engineered valves for the waste water industry. The company has seen growing demand from the Middle East, which is where it has won a lucrative contract to supply 18 knife gate valves to German subcontractor Passavant Energy & Environment, for the Strategic Tunnel Enhancement Programme (STEP) pumping station project in Abu Dhabi, one of the largest tunnelled sewage systems in the world. Having worked with the bank in the past, Ham Baker approached NatWest for funding advice. NatWest, in turn, brought in UK Export Finance (UKEF) to access its Bond Support Scheme. Through the scheme, UKEF stood as the ultimate guarantor of £750,000-worth of bonds (including an advance payment guarantee and a performance bond) that Ham Baker had to issue upfront to guarantee its participation in the project. The company also estimated a project cashflow requiring £2.5mn pre and post-shipment working capital. This was arranged through UKEF’s Export Working Capital Scheme, under which an 80% guarantee is requested from the export credit agency, with the proposal that 100% of the cash received against the advance payment guarantee is released into working capital for the project. The Maamba deal was closed after four years of efforts and bureaucratic hurdles, including the withdrawal of US$75mn in funding from the African Development Bank (AfDB). The financing eventually reached a total US$828mn, raised through a debt-equity ratio of 70:30. This will enable Maamba Collieries Limited to complete the construction of two 150MW coal-fired power plants on the site of an existing coal mine, as well as a new transmission line to connect to the national grid in Zambia. The project finance facility was structured as follows: one US$365mn tranche backed by China’s ECA Sinosure and involving Barclays, Bank of China (BoC), Industrial and Commercial Bank of China (ICBC) and Standard Chartered; a development finance tranche of US$150mn provided by Industrial Development Corporation of South Africa (IDC) and the Development Bank of Southern Africa (DBSA), contributing US$100mn and US$50mn respectively; a sponsor bridge loan of US$45mn to account for a funding shortfall following AfDB’s drop-out, and another US$20mn supplied by Barclays Zambia following financial close. Barclays took a prominent role in the deal, involving both its London-based team and its African subsidiary, known as Absa group, and acting as global co-ordinating bank, project finance advisor, ECA advisor, bookrunner, mandated lead arranger and hedge co-ordinator. Particularly relevant is the role of the Chinese institutions. While China is known for investing in Africa, export credit agency Sinosure and other Chinese state entities had previously typically dealt directly with sovereign entities. The Maamba deal is Sinosure’s first project finance in Sub-Saharan Africa, and also one of the first African project financings for BoC and ICBC, signalling that Chinese financial institutions are more than ready to become directly involved in project finance opportunities in developing countries. Tenor: 15 years, 14 years, 12 years and 15 years. 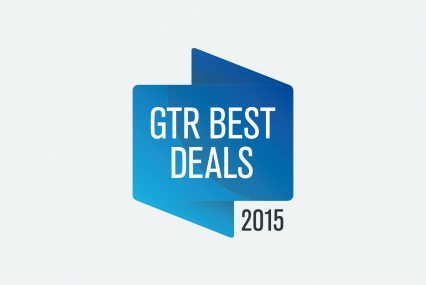 Even a few months ago, it would have been fanciful to think that the giant Oyu Tolgoi project and export financing deal in Mongolia would have been completed in time for this edition of GTR Best Deals. Three years ago, this magazine ran a story headlined “Oyu Tolgoi nears closure” – and this was about three years after financing was first sounded out for the copper and gold facility. For so many years it has been the one that got away: one of the largest financings in the world seemed destined to never be, with the sponsors and the Mongolian government unable to reach agreements over ownership rights and various other political issues. In May last year there was a breakthrough, when the Mongolian government gave Rio Tinto the green light to expand the mine. The financing wasn’t long in flowing in, with many of those earmarked for involvement first time around stepping up to the plate again. The timing was in some ways also surprising: the mining markets have been getting hammered – something acknowledged by the SMBC team that submitted the deal for consideration. “The Oyu Tolgoi financing is one of the few bright spots in mining finance this year. Rio Tinto is betting that in five years from now when the project is up and running at full capacity the commodities price cycle will be in its favour,” they say. And the deal’s significance to the Mongolian economy shouldn’t be underestimated, either. By 2021, when it reaches full production, the IMF estimates that Oyu Tolgoi will generate up to a third of Mongolia’s GDP. Whether the market will be ready for the minerals once production time arrives is another issue. There continues to be a surplus of copper, with China’s construction sectors having slowed down dramatically. The Seabras-1 deal stands out not only for its size (US$500mn in total for the project) and ambition (a 10,500km subsea fibre optic cable to link New York to São Paulo) but also for the adverse conditions in which it was signed. On top of the nationwide corruption scandal that shook Brazil in 2015, the project faced competition from similar projects – notably by Google and America Movil –announced around the same time, jeopardising the commercial viability of Seabras-1. Still, Seabras-1 operator Seaborn was able to secure both equity financing, mainly from private markets investment manager Partners Group, and US$267mn in ECA-covered structured export finance for its system, which aims to provide point-to-point bandwidth connectivity between the two financial hubs within two years. The appetite for investment in Seabras-1 is a testament of Seaborn’s reputation and of the ever-growing need for telecom infrastructure capacity to connect the world. As the construction contract was awarded to Alcatel-Lucent, the project received a lot of French support, namely from the public arm of Coface, as well as Natixis as sole structuring bank, underwriter and mandated lead arranger. Other lenders include Santander, Commerzbank and Intesa Sanpaolo. Seabras-1 has already sold capacity to several major technology providers including Telecom Italia and Tata Communications. The GTR team is partial to awarding Best Deal status to industry newcomers, and this winning transaction helped finance a groundbreaking project that will help a relatively young and inexperienced company compete in a market that is heavily dominated by a handful of industry giants. Founded in 2007 and incorporated in Mauritius, the Smile Group is a telecommunications company focused on providing broadband access and communications services across Africa. In its bid to become the African broadband service provider of choice, it is investing in the procurement of long-term evolution (LTE) broadband infrastructure to roll out a world-class 4G LTE network across its key geographies in Nigeria, Uganda, Tanzania and the DRC. For this, it needed a cost-effective financing solution. To achieve this, the group mandated Afreximbank to assist it in arranging a US$315mn long-term syndicated multi-tranche term facility. The financing is made up of different tranches, but with broadly two facilities: an ECA-supported financing of US$195mn for equipment importation (from Alcatel Lucent in Belgium, supported by Delcredere | Ducroire, and from Ericson in Sweden, supported by EKN), and a non-ECA-supported financing of US$120mn for other capex requirements. Standard Chartered was approached by Afreximbank to assist with co-ordinating the ECAs in support of the ECA tranche. Afreximbank acted as a funding bank (providing US$50mn) for the ECA financing tranche under a two-step loan structure and sub-participation by the local banks (Ecobank Nigeria – US$75mn and Diamond Bank – US$70mn). The non-ECA loan tranche was provided by the DFIs. “A longer tenor, competitive all-in pricing and ample liquidity was achieved. The utilisation of the on-lending structure, and the involvement of various different financial institutions – all with different objectives and risk appetites (DFIs, ECAs, commercial banks) played a pivotal part in the execution of this transaction. This was an excellent example of an original and innovative structure being created by taking a client-oriented approach,” reads the submission from Standard Chartered. As other western banks have been retrenching from Asian markets, Santander has been visibly growing its presence on the ground. This innovative deal with the Chinese company TCL Group, a consumer electronics group, allowed the bank to demonstrate its geographic advantage, since it spanned China, Hong Kong and the Latin American region. This is the first supply chain solution for TCL – no mean feat given the company’s size and reach. The deal will see Santander purchase US$200mn in accounts receivables on a non-recourse and undisclosed basis from a leading global telecom operator and a key client of TCL’s Latin American subsidiary. This in return will monetise receivables into cash, therefore maximising working capital and ensuring trading relations are kept well. 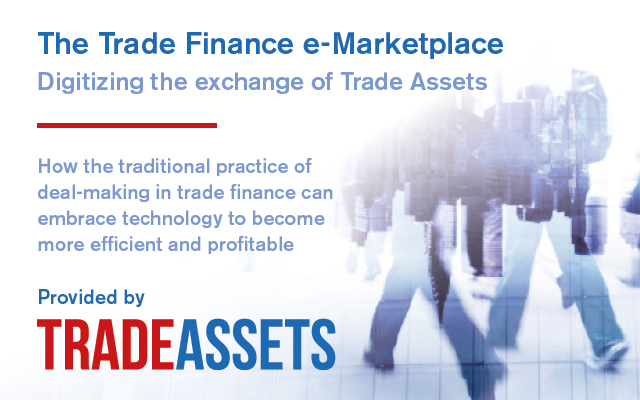 It seems that trade finance professionals are constantly lobbying regulators to consider the low-risk nature of their business when drafting financial laws – yet there hasn’t been much progress so far. So in the meantime, some banks are resorting to other solutions to lower their regulatory burden. In the largest trade finance securitisation to date, Deutsche Bank sold the riskiest tranche of its global portfolio to achieve regulatory relief on its overall US$3.5bn of trade finance assets. The bank performed a synthetic collaterised loan obligation (CLO), selling only the first loss tranche part of its portfolio (around US$216mn) to seven European and American investors. “US$3.5bn is the total portfolio, of which the first loss tranche loss is 0 to 6.5% of that, equating to approximately US$216mn. That’s the piece that we have placed with the market. But by selling that piece, it gives us significant risk-weighted assets (RWA) relief on the whole portfolio. 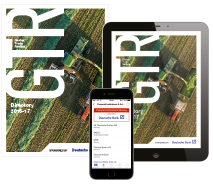 We’ve kept the senior piece of the portfolio,” Guy Brooks, head of distribution and credit solutions at the bank, tells GTR. Similar to traditional CLOs, where a portfolio of assets is divided into different risk segments (the riskiest also bringing the highest returns), then sold off to investors, a synthetic CLO is unfunded, meaning the assets sold stay on Deutsche Bank’s balance sheet, but the risk is effectively passed to the investors. “Whilst they want a bit of yield, they like the fact that it’s a lower-risk asset class,” explains Brooks. In this winning deal, Rabobank, Natixis and IFC arranged a medium-term pre-export finance loan for Vicentin, an Argentinean family-owned conglomerate and the largest grain crusher in the country, accounting for 15% of overall capacity. This is Argentina’s largest agri sector deal of 2015, and its first agri syndicated loan in two years. But what makes this transaction unique is that it was signed the week before Argentina’s presidential elections, in an environment filled with political and economic uncertainties. Though Vicentin was known to several of the financial institutions involved in the transaction, the deal represented the beginning of a new relationship for some banks, thus marking a milestone in the company’s financial strategy. Rabobank also believes that the transaction creates a strong syndication platform for future deals to be executed in the country once the economic environment normalises. “We rely on Argentina’s agribusiness sector’s strong business fundamentals, which have proven to be very strong and solid for many years, regardless of the political and macroeconomic outlook. Argentina’s oilseed crushing sector is impressively efficient and competitive worldwide; companies in this sector are very strong, well-capitalised and financially sound. We are confident that, in the same way the transaction was successful prior to the election, it would also be so now with the new president,” the team adds. This deal, submitted by ITFC, caught GTR’s attention because of the innovative ways in which it has catered for the needs of all players involved in an Islamic financing deal: for Islamic banks, it offers a new risk-mitigated liquidity management tool; for traders it presents an Islamic commodity future contract; and for farmers, it provides an efficient financing tool during harvest. It is also the first asset-backed murabaha deal of its kind. The deal came about as an Islamic banking solution to avoid the value-added tax system. As such, farmers deposit their crops to the warehouses and are issued an electronic warehouse receipt in commodity exchange. On behalf of Yayla Agro, the ITFC purchases the deposited crops on an electronic platform, as per its asset-backed murabaha contract with Yayla Agro. Yayla Agro then purchases back the warehouse receipts from ITFC within the tenor of financing according to its processing plan.